we would like to thank all the fans for coming to the gigs over the last week. We really enjoyed playing and the response was fantastic everywhere. We would like to apologise to the fans at HRH Prog for the lack of merch in the auditorium. We know that some of you mentioned it. Unfortunately we had to sell through the official vendor who was situated at reception and nowhere near the gig. Unhelpfully, they closed the merch stand before we went on stage. All our products are available as usual at www.paradisefilter.com . We are looking forward to playing in Soignies later in April, and Southampton and Maidstone, so hope to see some of you there. It has just been confirmed today that we will be playing in Monaco on 14th October so keep watching the website for updates. Thanks again for all your support. 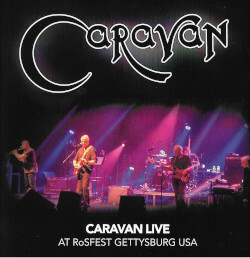 Caravan. This entry was posted in News on March 22, 2016 by cathy. The concert inn Bromsgrove was absolutely fabulous and we were so pleased to be able to meet our heros in the band after the show. We asked the guys to consider coming to Taunton in Somerset for a gig – we have a lovely theatre which would be a perfect setting for them – The Brewhouse Theatre. Look forward to the next concert wherever that will be.